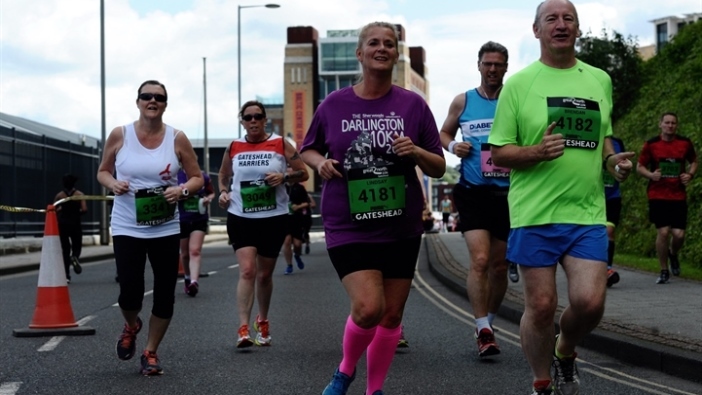 If you’re feeling inspired to set yourself a new goal then the Simplyhealth Great North 10k Gateshead is the perfect way to get your summer running fix. Now in its 10th year, the event features 5,000 runners who share the satisfaction of completing a 10k challenge on Sunday 8 July. As you head along the NewcastleGateshead Quayside, you’ll be greeted by some of the region’s most iconic landmarks such as the Gateshead Millennium Bridge, Sage Gateshead and the BALTIC Centre for Contemporary Art. This out-and-back section of the course is known for its buzzing atmosphere, with runners filling both sides of South Shore Road – be prepared to offer your fellow participants a high five! 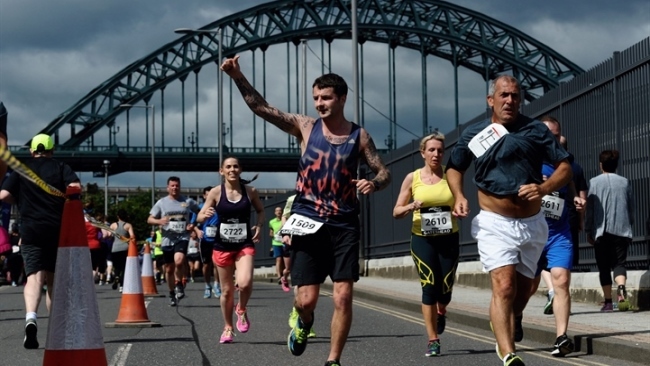 As one of the 5,000 runners taking on the Simplyhealth Great North 10k, you’ll also pass under the Tyne Bridge twice before you head back along the Quayside towards the finish line. 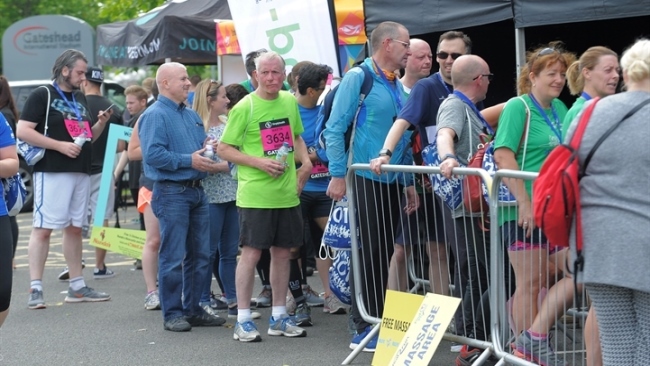 The Simplyhealth Great North 10k course will provide plenty of atmosphere with bands on the run including feel-good music from the Sunshine Panners and the North Tyneside Steel Band. The half-way turnaround point will also be marked by a Metro Radio music station to keep spirits high when at the furthest point of the course. 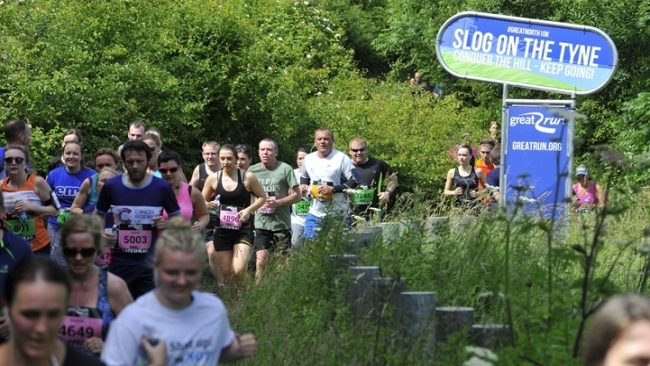 It’s the part of the Simplyhealth Great North 10k course that every runner loves to hate. 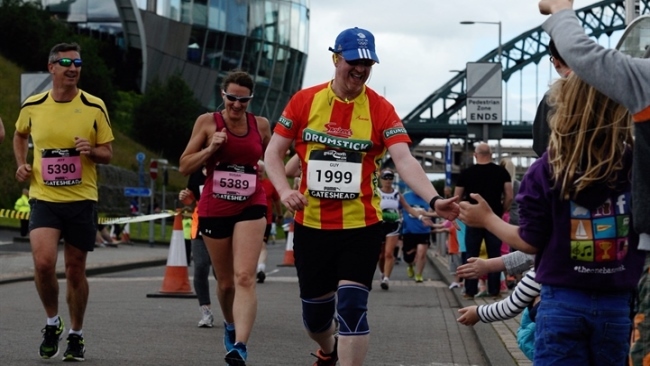 The infamous 9km hill just off the Quayside, known as ‘Slog on the Tyne’ is the final challenge that participants face before completing the event. Check out Great Run’s tips for conquering the hill here. 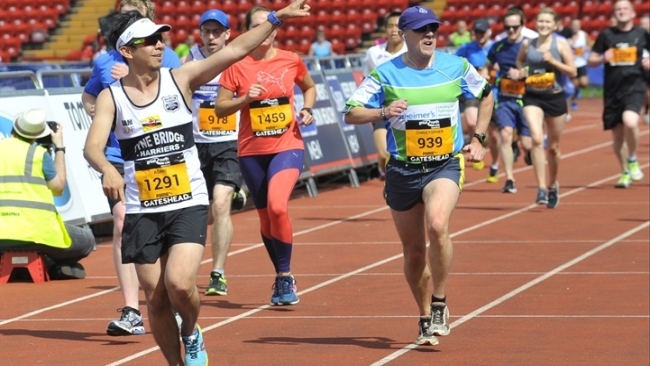 No matter how you run or how fast you go, you can’t beat that finish line feeling as you head back along the quayside and enter the famous Gateshead International Stadium to cross the line. The sight of friends and family in the stands cheering you as you run around the track is sure to spur you on through the final metres of your 10k. A ten-year celebration isn’t complete without a post-event party. Once you’ve collected your well-earned medal, finisher’s T-shirt and finisher’s bag, be sure to visit the event village for a satisfying pitstop. There’ll also be activation zones to help you with your post-run recovery from our event sponsors including Simplyhealth, Pure Gym and Nandos.